The development of improved AI and forecasting means sales is no longer an “artform” but a “science”. The question is how to hire sales reps whose qualities match the trends seen in data and keep them on to continue building relationships with clients at scale. Your sales representatives are the ones working with your prospects to learn more about their needs, build relationships, and deliver results. Plus, they’re acting as the face of your company. No matter what a prospect has seen about your company on social media, your sales reps will be their first face-to-face impression. 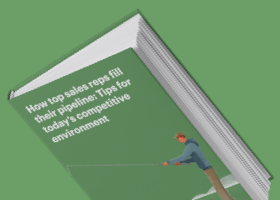 A company with a great sales team in place focuses on selling and winning more business, and it’s your job to hire the right reps and enable them with the proper tools. In this post, we’ve put together tips on how to hire sales reps and keep them a part of a motivated and successful team. It’s no secret the recruiting process is time-consuming and stressful, which is probably why only 22% of companies feel confident in their ability to hire the right people. 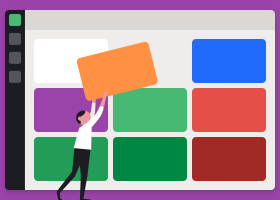 Not only must you get to know your candidate and decide if the person fits the role, but you also need to put in work creating a detailed job description and casting a wide net. A bad hire is bad for company morale, it wastes valuable time, and it ends up costing you a lot of money. According to the Society for Human Resource Management, recruiting, hiring, and onboarding a new employee can cost as much as $240,000. So, making sure you find the right candidate is worth the effort. While there is no fool-proof way to make sure you hire the right person every time, these four steps will help you increase your odds. Before you jump on LinkedIn to start the hiring process, make sure it’s the right time to hire. Once you find a great candidate, your work has really just begun. The best sales professionals in the world can’t make a positive contribution to your company if you don’t have the capacity to onboard and train them. Sales are all about creating a repeatable, scalable process. Hiring more sales reps before you’re ready will only distract your team and waste money. The best way to do this is by interviewing and observing your top-performing sales reps. Focus closely on their tasks and daily activities. From there, you’ll be able to figure out what the job truly entails. 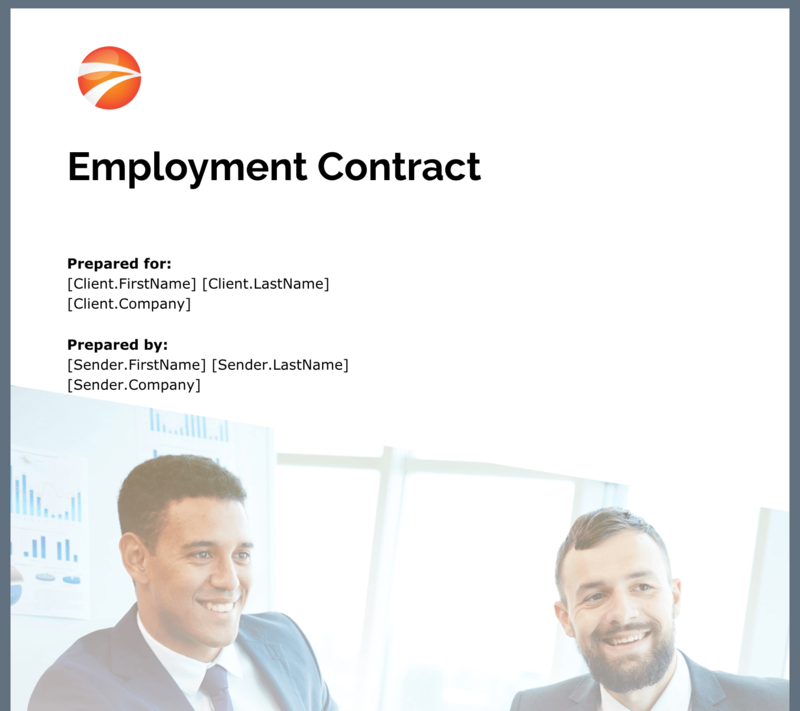 Make sure to include a thorough employment contract to protect both yourself and your prospect when explaining expectations during the sales hiring process. You’re the seasoned sales veteran ready to lead your troops to victory. So you want a team ready to learn from your past achievements and mistakes, right? Hire sales reps open to constructive criticism and able to adjust and improve-then deliver it to them! This is a great trait to ask about when calling references. If we asked your manager what you need to improve on, what would they say? Describe a time when you adjusted your strategy to overcome an obstacle/achieve your sales goals. A good sales representative doesn’t excite easily or lose their cool. Someone who is even-keeled thinks more strategically and deals more effectively with buyers. They don’t say things they’ll end up regretting later. And they’ll stay calm and won’t be easily flustered during the negotiation process. Run a standardized roleplay of a sales interaction. Effective sales reps know time is money, so they never waste it on meaningless tasks. They use repeatable systems to spend less time making calls and emails and more time building relationships and winning new business. They also learn to quickly identify if a prospect is a good fit, so they don’t waste time on someone who is unlikely to buy. It’s common knowledge most sales require multiple touches. Research shows the average prospect will say “no” four times before they agree to the sale. 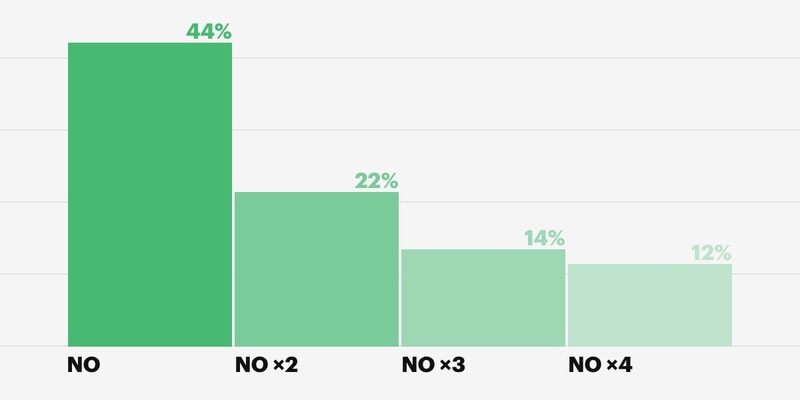 Unfortunately, 44% of all sales reps will abandon a prospect after hearing “no” once. Look for a sales rep with grit-a sales rep unphased by the highs and lows of each quarter who’s willing to get scrappy and follow-up on leads consistently. It’s important not to confuse persistence with being pushy. Great sales reps build relationships. They don’t badger their prospects into a sale. Describe a time you missed your quota. How did you bounce back? We know people buy an emotional outcome, not just the product itself. Good salespeople build rapport with just about anyone. They know how to naturally initiate conversations with strangers. They know how to get people to start talking and then guide the conversation where they want it to go. And, most importantly, they listen when their prospects talk and genuinely seek to understand their problems. In a report on emotional intelligence for business published by Dr. Cary Cherniss, he cites a study by L’Oreal that found “sales agents selected on the basis of certain emotional competencies…sold $91,370 more [annually] than other salespeople did, for a net revenue increase of $2,558,360.” They also stuck around longer and had 63% less turnover in the first year. Unlike IQ, employees can learn and improve their EQ. But hire candidates with higher scores to avoid leaving money on the table during their earlier days. Does the applicant practice active listening or cut you off? Try using behavioral-event interview techniques during your roleplay. Sure, this trait is part of having a high EQ. But it’s so important we gave it its own section. You want reps with the self-awareness to explain the why and how behind their successes and failures. It’s a red flag if a candidate can’t walk you through their past numbers or articulate why they’re a top-performer relative to their peers during the interview process. An enterprise can’t avoid judging its sales reps based on performance. So, if your sales reps lack self-awareness, they’ll miss opportunities to capitalize on these strengths. Plus, they’ll fail to improve in weaker areas with a focused and determined approached when handed a performance improvement plan. While you want self-aware sales reps, you don’t want a sales team afraid of challenging the status quo and creating a healthy level of tension with clients. It’s important your reps empathize with client situations but still seize opportunities without second-guessing themselves. Anytime you’re hiring a new sales rep, involve your current sales team in the process. This is a good opportunity to see how your candidate interacts with the people they’ll be working with every day. But it’s important to listen to any concerns your sales team has-even if it goes against your own opinion. They may have valuable insights into why a candidate is or isn’t a good fit for the company. If one of the new hires doesn’t work out, you won’t waste time scrambling to hire and onboard another right away. Now that you know how to hire your new sales reps, let’s talk about how to keep the top performers around. Current research shows the average attrition rate for sales reps is just over 15%. If you have 100 sales reps employed, odds are you’re going to lose 16 of them this year. This is a tough obstacle to deal with considering the time and money you spent on finding them. Plus, it’s tough when any of those who leave are among your best people, and you’re stuck with a talent gap. So, what can you do to avoid turnover? It’s not easy being a commission-only sales rep, and sales positions can feel stressful and thankless. Once your reps meet their goals, they start over at zero the next month. 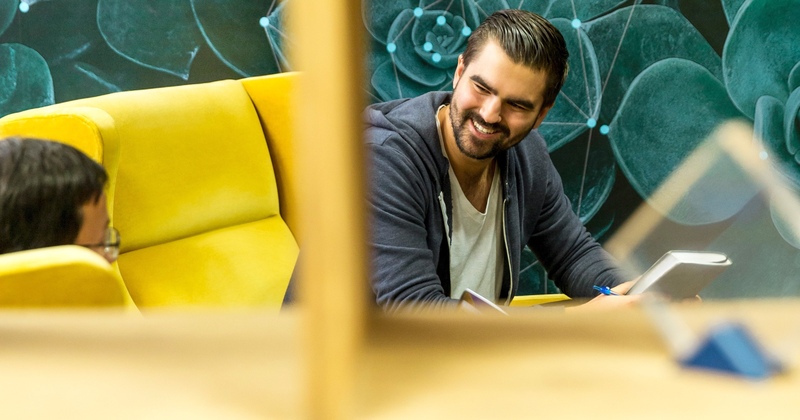 Encourage camaraderie among sales reps by uniting them behind a common “why” which connects their actions to the bigger picture. Foster a healthy level of competition by setting a clear bar of excellence, attainable quotas, and a sales rep commission structure with commission rates that fit your business. Reward not only positive sales performance but positive employee attitudes with both recognition-based and monetary incentives. Open dialogue between sales reps and management and encourage transparency. Be accessible to your team and stand with them in the trenches. One of the best ways to create a positive sales culture is by publicly recognizing your team. Focus on activity, rather than just results. Sales reps can’t force sales on leads, but they can focus on increasing their efficiency and productivity. 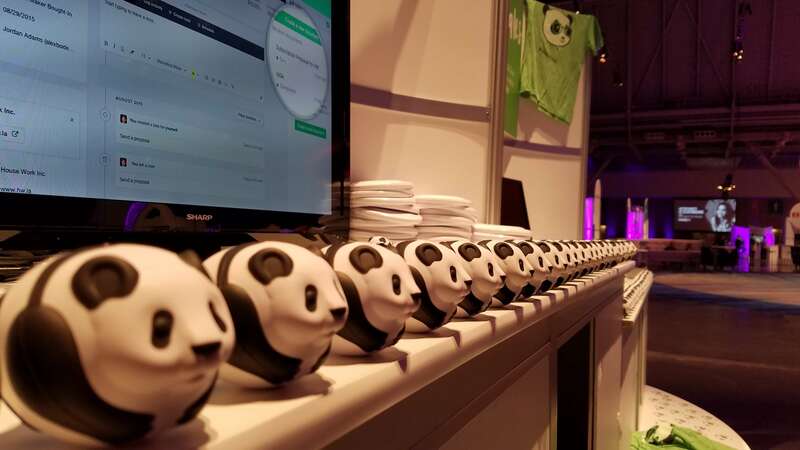 Our team at PandaDoc has a motto to “steal everything that works.” New reps may lack product knowledge, but their sales processes often bring a refreshing influx of new ideas and perspectives. Involve their voice early on to inspire loyalty and confidence in new members. Your applicants are interviewing you and your company, too. If they see you don’t have a budget set aside to equip them with the proper tools to build and maintain personalized relationships with clients, why would they want to work for you? Startups are always cash-conscious, but it has been critical for us to release our budget when it comes to training and career development. 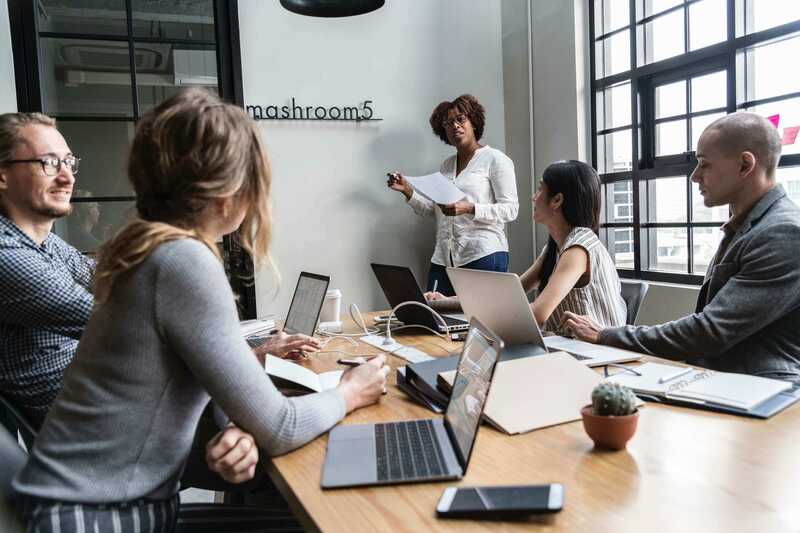 Software like PandaDoc is important not only for large enterprises but also for B2B startups and small-to-medium-sized enterprises (SMEs), as training employees to a specific playbook allows you to scale processes effectively. 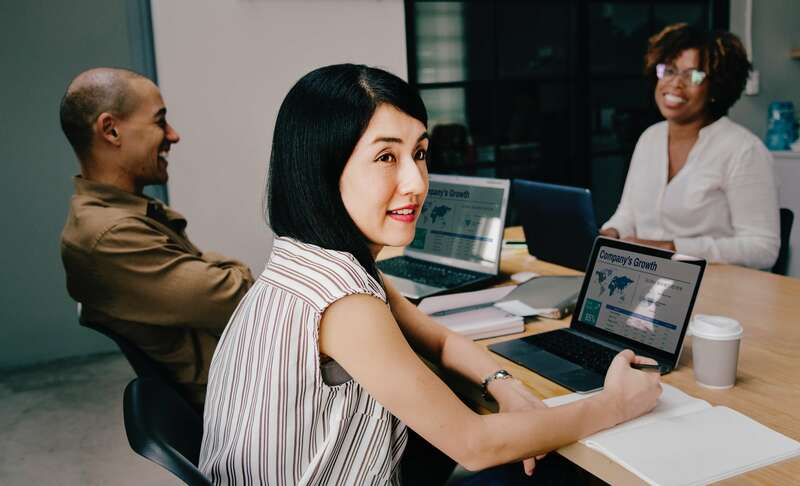 Give your sales reps the training they need to combine their skills with this software, and you’ll build a confident, competent sales team ready to go into battle with you for years to come. Many leaders assume sales reps leave because they’re looking for more money, but this isn’t always the case. According to the Harvard Business Review, top sales performers really want opportunities to grow. They want to feel like they’re making professional growth and increasing their skill sets. If they reach a point where they feel they’ve maxed out their potential with your company, they’re going to move on. To keep them around, you’ll need to find ways to keep them engaged. Give them opportunities for business development. Sales reps have the unique role of intimately understanding how the business acquires new money. As a result, motivated reps with the right skills make phenomenal leaders on the revenue team. Allow high performers to transition into more strategic roles in management, and you’ll have leaders capable of informing your marketing team on buyer personas and effectively communicating your value prop. Develop realistic yet challenging goals, and provide them with the tools they need to hit those goals. Last, make sure you create an open dialogue with your sales reps. Share their progress, and recommend ways to perform at a higher level. Top performers appreciate this type of sincere feedback, and it will strengthen your relationship with your team. If you want to increase employee retention, you must understand why your employees are leaving in the first place. Every time a sales rep leaves your company, conduct an exit interview to find out why. Assure the applicant the interview is confidential. Conduct the meeting one-on-one in private so the individual feels comfortable speaking candidly. Let them know you won’t be sharing their answers with anyone they worked with. Choose someone from HR to conduct the exit interview. Whatever you do, don’t have the employee’s supervisor conduct the interview. No one wants to tell their former boss the reasons they quit. Ask thoughtful interview questions. What did they like or dislike about working for your company? What did they think about the culture of the sales department? How did they feel about their supervisor or other managers? What changes might they suggest? Listen carefully to the answers. You might even want to take notes, and don’t interrupt or respond in a disapproving way. As you continue to conduct these interviews, you’ll start to notice common themes start to emerge. By addressing these issues, you’ll help prevent future employee turnover. Michael is the Head of Sales at PandaDoc. When he is not coaching eager new pandas or scaling sales processes, he is searching through crates of vinyl to find new additions to his collection.